* Imagine a drunk forester in an orchard. Or at least an absinthe drinker with pine resin on his coat, drinking cranberry spiked lemonade. * Those two guys in the cranapple commercials come to mind. * A soft polished jasmine comes into focus as the cranberry fades to the back. The licorice/absinthe note provides some depth to the jasmine. * After the heart notes comes into focus, it becomes a skin scent. * The base is soft pipe tobacco with a hint of vanilla. 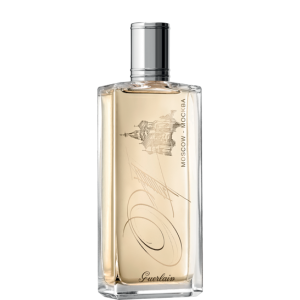 Summary: When I visited the Guerlain boutique on the Champs Elysees back in 2011, I knew I was going to buy Chamade Pour Homme, and the SA showed me around to another new scents. I liked this one on first sniff so it was kind of a blind buy. I like it, but I don’t love it so it’s not one that I would have bought if I had tested it more in depth. It’s marketed as feminine but it’s easily unisex. It’s sheer and pretty but it doesn’t really stand out, especially in the Guerlain house. It is a safe fragrance – nothing out of the ordinary – mainly because it is a little muted and soft to the skin. It’s worth a test but I think you can find a better Guerlain. 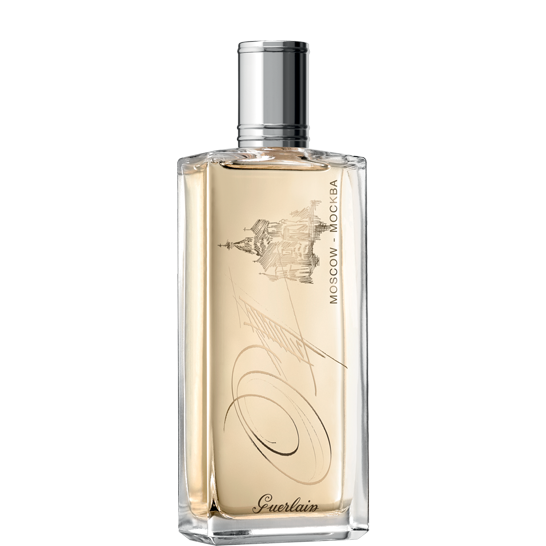 Guerlain fragrances are available through Guerlain Boutiques and Neiman Marcus. Disclaimer: Bottle purchased – no disclaimer needed. Image courtesy of Guerlain website.